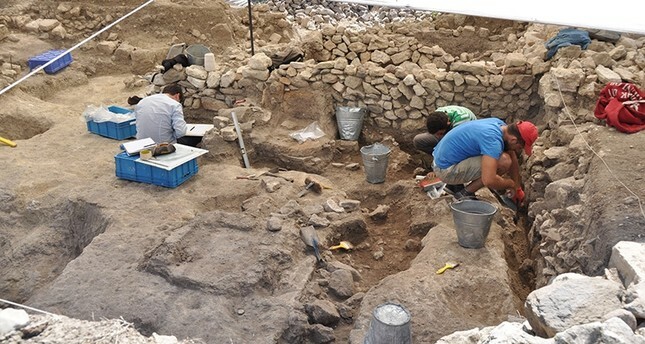 Turkish archeologists in Dascylium ancient city in Turkey's western province of Balıkesir have discovered a 2,600 year-old kitchen which belonged to the ancient Kingdom of Lydia in Anatolia. During the excavations, kitchenware including containers, mortars (made up of basalt stone) and some fish bones and seeds were discovered in the area where the age-old kitchen was discovered. The head of the excavation team Kaan İren, who is a lecturer in the Department of Archeology in Muğla Sıtkı Koçman University in Turkey, spoke to an Anadolu Agency correspondent and said that his team had been digging in three different points in the area. İren explained that "the founding belong to the Bronze Age, we came across some human traces in the area." "It was discovered that our findings including architectural structures, tablets, cult stuff and stoneware belong to the Kingdom of Lydia and Phrygians and date back to eight century BC," he said. Six and a half-meter-long walls which were used to strengthen burial mound were also discovered during the excavation. İren explained that the rock tombs had been discovered in the second digging, and that they may be the first source to provide knowledge about rock tombs in ancient history. 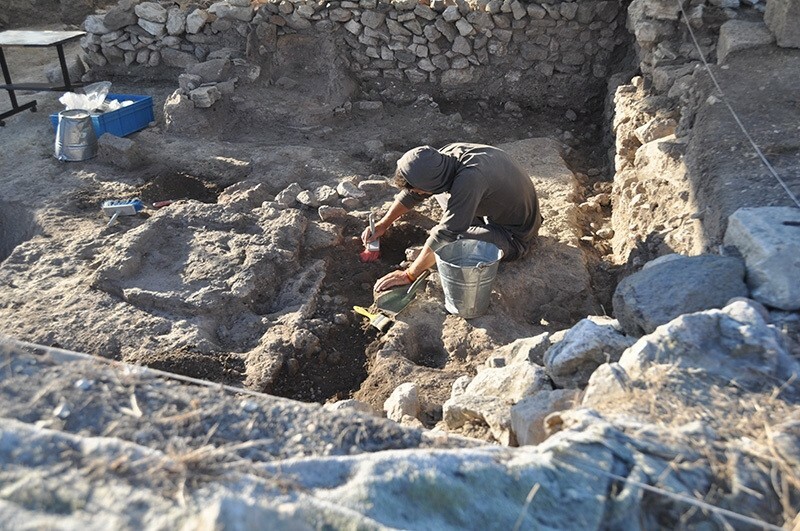 "In another point in the area, we found two kitchens which date back the 600 and 540 BC. We found one these kitchens on the top of the other." "Below one was collapsed due to fire then the second one was built on it but this one also collapsed due to another fire." İren said. This is the first time a fully-equipped kitchen belonging to the Kingdom of Lydia has been discovered in Anatolia.